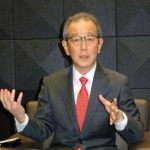 43rumors now posts articles written by our readers. Just send me the text and pictures at 43rumors@gmail.com. Today’s article has been written by Mark Ryan Sallee from Medium.com. Text and pictures are under copyright by Mark Ryan and published on 43rumor with his agreement. Olympus makes and sells cameras. They do the first part well. They do the second part not so well. I enjoy photography as a hobby. I’d owned a modest bit of DSLR kit for many years, but over the past two have hardly used it. Thanks to iPhone. Shooting on iPhone for the past couple of years has reignited my interest in photography, but it’s also limited the photos I can produce. I miss the flexibility of interchangeable lenses, the quality of a lovely prime, and the reach of a telephoto zoom. But my DSLR camera gear was too large and conspicuous to go with me with any frequency. And so I was attracted to the micro 4/3 camera system. 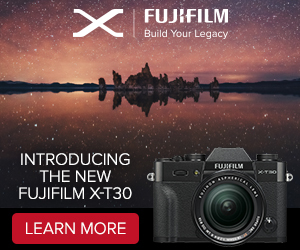 To anyone outside of enthusiast photography, the name micro 4/3likely means nothing. It sounds small. And…mathematical. 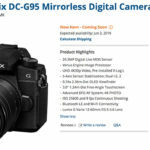 But micro 4/3 branding is only the start of the confusion consumers are likely to experience when shopping compact, interchangeable-lens cameras. It shouldn’t be this complicated. After a lot of research, talking to camera people I know, reading message boards and watching YouTube reviews, I have a solid understanding of micro 4/3 and a grasp of its alluring benefits. I’ve bought in, acquired an Olympus PEN camera and assembled a kit of five lenses. I now have a vested interest in the success of Olympus, one of two main manufacturers of micro 4/3 cameras. However, my research has also revealed that Olympus — and by proxy the micro 4/3 camera system — is struggling in the market (source one, source two). 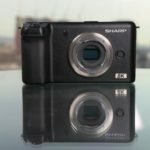 Sure, the entire compact camera market has imploded in a post-iPhone world, but DSLR camera sales are still strong and that success proves to me there’s room for a more compact, mirrorless camera standard like micro 4/3. But consumers are deciding to buy DSLR cameras instead. And I am doubtful that such purchase decisions are educated by how effectively each camera system meets real consumer needs. You don’t need bulky DSLR equipment for shots like this, a compact mirroless camera will do. Photo taken with Olympus Micro PEN+ and Portrait Lens (Source: Medium). Olympus’ current branding is a mess. Branding should communicate marketing messages and purpose of products, but their current brands and product labeling do not effectively communicate much. Only Olympus enthusiasts can explain their current brands. Olympus is the company name. PEN and O-MD are camera lines. M. Zuiko is a brand for Olympus lenses. 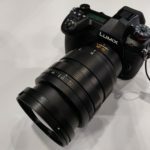 Micro 4/3, or M43, is a standard lens mount / sensor size shared with Panasonic. The Olympus brand isn’t especially strong in the US, so plastering it on marketing material doesn’t say much to consumers. If Olympus is to double-down on mirrorless camera systems, they should consider updating the brand to reflect the benefits of mirrorless. Both the PEN and OM brands have some heritage with Olympus. And while Olympus’ brand and heritage isn’t particularly strong in the US, leaning on their heritage and delivering classically-styled cameras is a strong differentiator for Olympus among other camera brands like Sony, Nikon and Canon. The hyphen in the O-MD name is sterile and confounding. It also prevents consumers from easily seeing parallels in PEN and O-MD(three-letter, all-caps) as camera line branding. They should remove the hyphen, leaving PEN and OMD as their camera lines. The M. Zuiko name appears to have no special meaning, as it is applied to all Olympus-produced lenses (excepting from the 15mm Body Cap Lens). 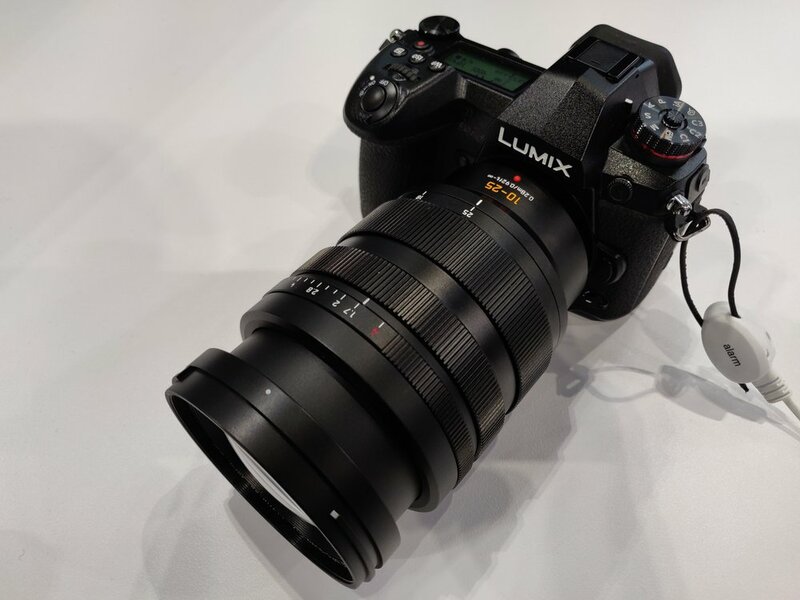 It could potentially stand in for Carl Zeiss, or Summilux as a premium brand, but M. Zuiko loses that potential when it’s applied to every lens. Olympus should ditch the M. Zuiko branding and simply stick withOlympus Micro, which helps message two important facts about the lenses: 1) The lenses are smaller than normal lenses, and 2) the lenses are compatible with Olympus Micro cameras. Micro 4/3 is a shared standard between Olympus and Panasonic (as well as a number of other camera and lens manufacturers). It is a very dry and technical brand which, in my experience, confuses most people. However, I don’t suggest changing this (at this point, it is out of Olympus’ control anyway). I do, however, suggest down-playing it as a brand in marketing. The existing M43 mark should accompany branding material, but be placed apart from Olympus-specific branding to avoid confusion. The inter-compatibility of M43 hardware is a huge benefit for the system, but the branding of the standard is confusing to most consumers. The Olympus Micro branding is simpler and conveys a similar message — this is asmall camera system. Olympus needs a simple, monosyllabic brand to differentiate their high-end products from their standard. 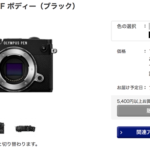 At a glance, a consumer doesn’t understand why an E-PL5 costs less than an E-P5. If they were branded PEN and PEN+ instead, the +Plus branding easily differentiates one PEN as better than the other. This simple context will shape the way the consumer internalizes the specific differences when comparing cameras. These are the camera models currently listed on Olympus’ US website. Olympus currently lists seven micro 4/3 camera models. To the average consumer, the differences in model numbers and pricing are, at best, unclear. Suggestion: Olympus should reduce the number of available models to four, leaning on the strength of two brands — PEN and OMD, enthusiast and pro respectively — and using clear branding to distinguish base-level models and top-of-the-line models (+Plus) for each line. This should be Olympus’ camera lineup. My Olympus PEN E-P5. Or rather, my Olympus Micro PEN+ (Source: Medium). Current camera lens naming conventions make sense only to camera enthusiasts, and only to those that already understand that M43 systems introduce a 2x crop factor that effectively doubles the focal length in the naming. Even if you explain that the M. Zuiko 45mm f/1.8 has an effective focal length of 90mm, most consumers will not understand the significance of 90mm. As well, the M. Zuiko branding doesn’t mean much to US consumers and doesn’t identify the cameras the lens is made for. It is confusing. 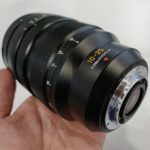 Suggestion: As previously suggested, Olympus should drop the M. Zuiko branding and replace it with Olympus Micro to strengthen the messages that 1) these lenses are smaller than average, and 2) they are compatible with Olympus Micro cameras. A toy lens, a zoom telephoto and a portrait lens. Or as Olympus say, a 15mm BCL, ED 40-150mm R and 45mm f/1.8 (Source: Medium). As well, each lens should be named in a manner that describes the type of photography enabled by that lens. The 45mm f/1.8 should be called the Portrait Lens. The 60mm f/2.8 should be called the Portrait Macro lens. Etc. As can be seen in the new given lens names, photography types can be combined (e.g. Street ~ Telephoto) to message the functional range of a zoom lens. Adjectives differentiate lenses that overlap in function. For example, Olympus sells two different Portrait ~ Telephoto Zoom lenses, but “Super” implies that one is more telephoto than the other. Similarly, “Toy” differentiates the Body Cap Lens from other street lenses (and sets realistic expectations for the $50 lens). This naming convention gives clear purpose to each lens. Clarity of purpose and utility gives consumers more interest and reason to buy new lenses, rather than sticking with standard kit lenses which, anecdotally, many consumers never move on from. Further, the +Plus branding from the camera lines is carried over to Olympus’ premium lenses, including on the pricey 12mm and 75mm lenses. 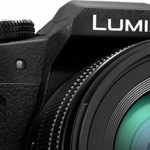 Most consumers will not intuitively know why a 75mm portrait lens costs more than double the 45mm portrait lens, but applying a premium brand to the 75mm lens succinctly suggests that it is inherently better. Not that +Plus branding is not a complete stand-in for specific facts that explain differences — consider it an equivalent to BMW’s M, or Apple’sPro. As well, the simplified lens names do not mean that specific focal length and aperture stats should be hidden. These numbers should instead be communicated via standardized iconography. Here’s a list of Olympus’ current lens line and names, matched to their new names. 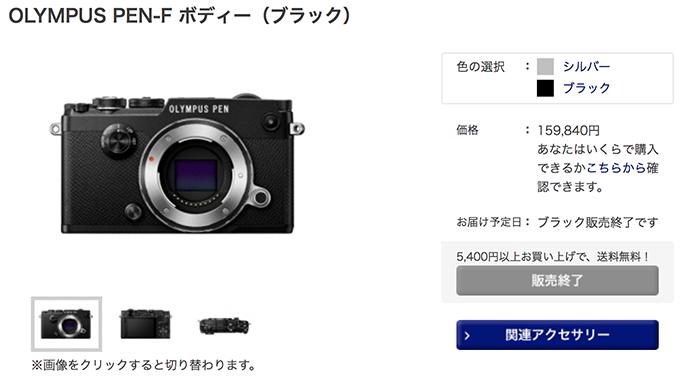 Olympus’ current merchandizing strategy can’t be effective. I know this because I never see their micro 4/3 cameras in stores. That’s a bit of an exaggeration — I saw Olympus cameras scattered in the boutique camera shop where I bought my EP-5, but never in a more mainstream electronics section. I’m sure it’s very expensive to get there, and the value of Best Buy floor space in 2013 is certainly debatable. I don’t have the data on consumer shopping habits for high-end camera gear to properly support this recommendation. But assuming the data supports it, Olympus should rethink their merchandizing and invest in mainstream representation. Without the streamlined branding and models described above, I can’t imagine retail presence being very effective. But with these suggestions applied to the products, I give Olympus cameras a good chance at converting shoppers at retail. Suggestion: A compact display stand that showcases Olympus Micro’s four camera models, surrounded by their 12 lenses. Clear branding and iconography to explain the products to novices and enthusiasts alike. Basic chart columns comparing features between models. And a pricing strategy that aims to make profits not on camera bodies, but on lenses. The camera body portion of the display should position the four cameras next to each other, with the OMD models slightly elevated behind the PENs, establishing a clear hierarchy of professional- and enthusiast-grade cameras. At the center of the display, a table chart with rows for each of the four models, and columns for the key differentiating features; built-in Wi-Fi, megapixel count, built-in view finder,number of axes in stabilization,sensor generation, etc. 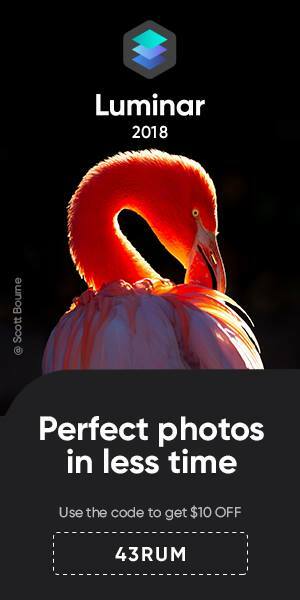 The lens portion should display each lens and its model name alongside a sample photo taken with the lens. As well, to better explain focal length to novices, a standard graphic that illustrates the field of view each lens allows. Further, next to each lens should be a QR code that, when scanned by a smart phone, brings consumers to an online gallery of images taken with the lens, allowing them to peep pixels in detail and better comprehend the difference between a kit zoom and a fast prime. Speaking of kit lenses, I suggest getting rid of them. Or rather, get rid of camera kits and simply sell the camera bodies and lenses independently. Kits complicate retail, requiring shops to stock multiple SKUs. Instead, Olympus should let shoppers build their own kits. New policy: Buy a camera body and lens together, knock off $200 from the price of the lens. This strategy asks consumers to explore the lens options up front and make very personal decisions. And it will break the ice on future lens purchases. No better way to encourage an obsession with lens collection than to get consumers involved in lens choice from the start. Up to this point, my marketing suggestions are targeted at photography novices, or at least people that don’t keep up with camera manufacturers and trends. In other words, most people. But photography professionals need not be alienated. To the contrary, I consider enthusiast adoption and loyalty as vital to Olympus’ viability as mainstream success. First and foremost, image quality attracts enthusiasts and professionals. Olympus already does this well and continue to impress me with advancements in IQ. But the company can further lock in enthusiast loyalty by solving other photography-related problems. Photo editing workflow is a significant opportunity for Olympus to solve. Unable to do anything with photos until at a computer. Having two unsynced copies of the image, one on the camera and one on the computer. Extra, often-forgotten step of making manual backups in case of hard drive failure. A third unsynced copy. Extra step of transferring images to mobile, creating a fourth unsynced copy. My new camera, an Olympus E-P5 (Olympus Micro PEN+), solves issue #1 with built-in Wi-Fi, but this then creates another set of issues. I end up dealing only in JPEGs, as RAW images won’t transfer wirelessly. Mobile photo editing in Snapseed is pretty good, but is destructive — Lightroom changes can be done and undone ad infinitum, but Snapseed changes are saved in flat files. Once I’ve chosen a mobile workflow, I’m essentially stuck with files on mobile. I choose between mobile and desktop workflows, there is no way to choose both without doubling editing work. First, photo files are stored and synced in once place, either on the camera or in the cloud. Freshly-snapped shots are, naturally, written to memory cards. These files can be accessed and edited via mobile or desktop editing software without first requiring that the image files be copied off of the memory card. 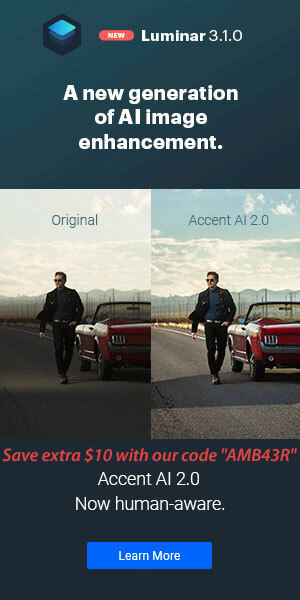 Photo edits are applied and remembered in steps that can be undone, like Lightroom edits. 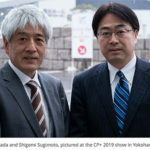 As soon as the camera is in range of a Wi-Fi connection (either home or mobile), it automatically transfers the photos — and their related history of edits — to cloud storage which can then be access by mobile, desktop or the camera itself. Any changes made in one place are synchronized globally. Workflow is a largely unsolved problem. Hobbyists and professionals have devised workarounds to the challenges outlined above, but none of it is simple and straight-forward. 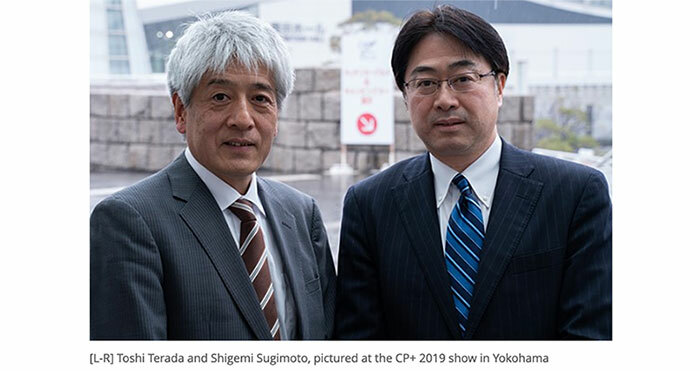 A streamlined workflow integrated tightly with Olympus cameras becomes a significant selling point for heavy-shooters and an effective loyalty program. When many competing camera systems are capable of comparable IQ, the shooting and editing experience becomes a primary differentiator. I’m not particularly qualified for this advice. I don’t work in marketing. I don’t know Olympus’ financials or margins. And I don’t know the value of merchandizing in 2013. But I now own a lot of Olympus gear. And friends and family ask about it, conversations usually instigated by my Instagram feed. People want to take great photos, and tend to agree that mirrorless cameras can take those shots. But only after a lengthy and clumsy education. It shouldn’t be this complicated. It doesn’t have to be, Olympus. Courtesy of Mark Ryan Sallee from Medium.com. 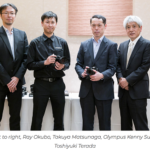 previous post: Olympus 5 axis stabilization find his way in new Casio cameras and future Sony A and E-mount cameras. next post: E-P5 and GH3 win Eisa award (yes, the one prize where everybody wins).